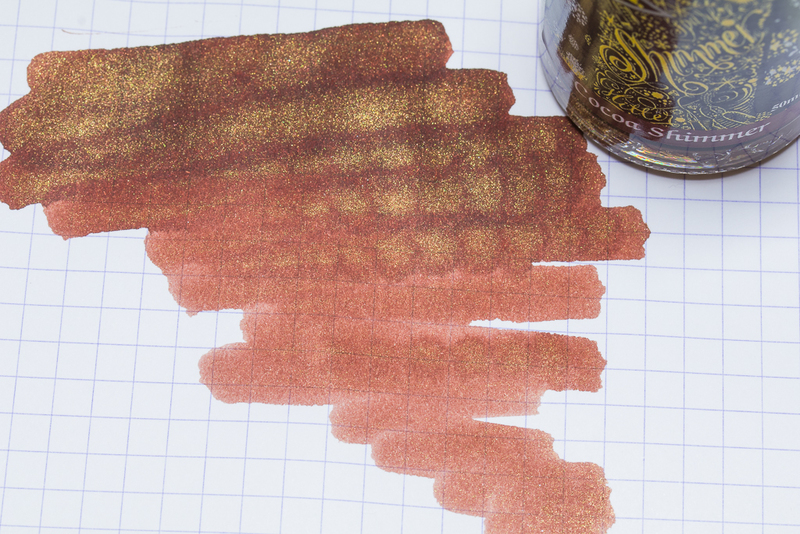 We just received a very small shipment of Diamine Shimmer inks! Woohoo! Blue Flame, Caramel Sparkle, Cocoa Shimmer, Enchanted Green, Firestorm Red, Golden Oasis, Inferno Orange, Lilac Satin, Magenta Flash, Moon Dust, Pink Glitz and Tropical Glow will be making their appearance at Knight's Writing Company very soon. Of course being a lover of brown ink I reached for Cocoa Shimmer first! And what a lovely ink it is. Seems to have great flow as well as little gold flakes - I've never used a Shimmer ink but I have a feeling I'm really going to enjoy them! 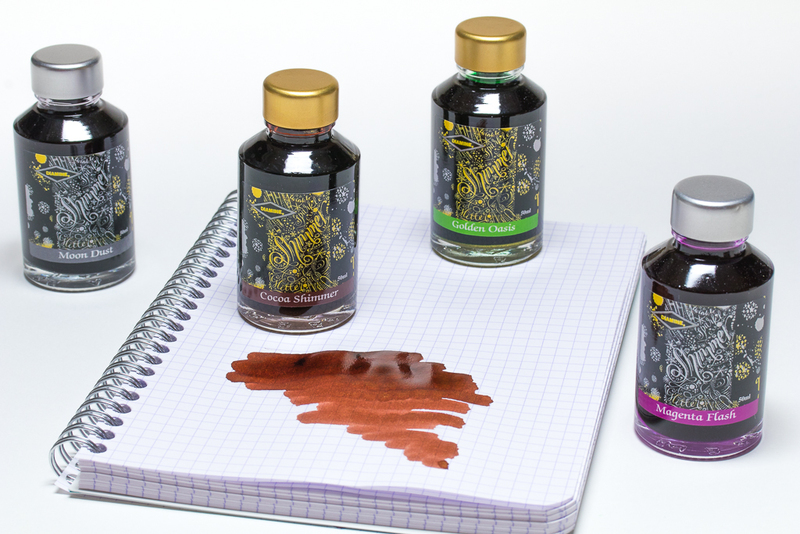 Inks come in a range of gold or silver shimmers. Keep an eye on the store in the next week or two! More coming in the Spring!